Get the most out of the winter season and commit to improving your skills and confidence by joining one of Mont du Lac’s clubs or Holiday camps. 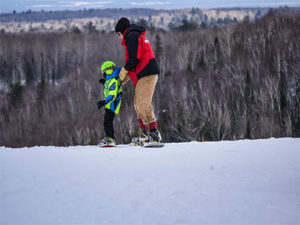 Mont du Lac has clubs for skiers and snowboarders of all ages and skill levels. Our programs are designed to build self-confidence and the skill sets of beginners to competitive athletes. Our clubs and camps are facilitated by highly trained professional staff. Join us on the hill this year for your best winter ever. Kids Club is perfect for children age 3 to 17. It’s designed to build your child’s skills, self-confidence, mountain etiquette and safety in a fun and safe environment. Kids learn though play and adventure and are grouped by age and skill level to maximize each child’s experience. Kids Club lessons come in packages of 3, 6 or 9 and lesson dates are flexible. Each Kids Club session is 2-hours and includes a snack and break. The complete package includes lessons, rental packages and daily tow-rope tickets. *Pre-registration required. Once registration is complete, sessions must be scheduled by Tuesday for the upcoming week’s sessions. Clubs aren’t just for kids at Mont du Lac. Our Mountain Explorers Club is designed specifically for adults utilizing Terrain Based Learning. This teaching approach uses purpose-built terrain to naturally assist skiers and boarders in controlling their speed. When beginners don’t have to worry about losing control, they can focus on their stance, movements and have more fun learning a new sport. As skills and confidence increase, our highly trained instructors will guide you through exploration of the mountain. Complete package prices include lessons, daily tow rope ticket and equipment rental. *Pre-registration is required. Once registration is complete, sessions must be scheduled by Tuesday for the upcoming week’s sessions. 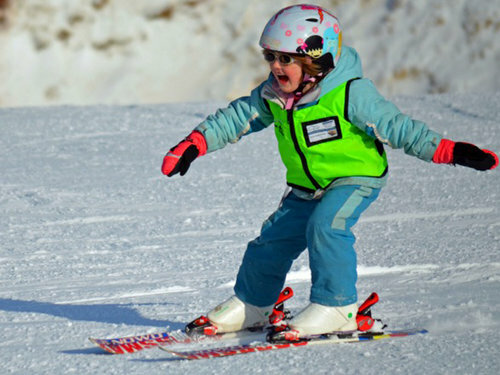 Give your kids the gift of adventure this season with Mont du Lac’s ski and snowboard Holiday Camp. Your child will spend five fun-filled days (from 10:00 AM – 3:00 PM) on the mountain learning new skills in a fun and safe atmosphere. Campers will explore the magic of skiing or snowboarding with Harry Potter themed activities throughout the week. Parents are encouraged to attend the last day of camp to watch Holiday campers show off their skills, participate in the costume parade, obstacle course challenge and awards ceremony. Lunch and snacks will be provided by Mont du Lac. This is the 58th year of the Mont du Lac Holiday Camp, the oldest in the Northland. Are you currently a Ski racer and would like additional race training over the holiday? Here is your chance to learn from a highly skilled coaching staff that will give you personal attention with a mix of free skiing, drills, gate training and having fun for a low cost. This camp is open to racers ages 5 years old to 18 (as long as you’re still in high school). Discover and develop the skills you need to improve your ski racing experience. Mont du Lac’s top quality coaching staff will help you meet your racing goals by teaching you fundamental skills and techniques to include carving, balance, proper stance, angulation, transitions and build your confidence level in a course. Let’s start your race season off on the right course that leads you to improvement and success. For more info, give guest services a call at 218-626-3797. For intermediate-advanced skiers that want to learn about racing and the Mont du Lac Alpine Club. Learn about racing, running gates, and try some drills. Also receive coaching from our Alpine Club coaching staff and club members. For more info, give guest services a call at 218-626-3797. Mont du Lac’s Alpine club is perfect for intermediate skiers ages 5-18. The program is designed to help kids and teens hone their skills, build self-esteem and learn proper mountain etiquette in a fun team environment. 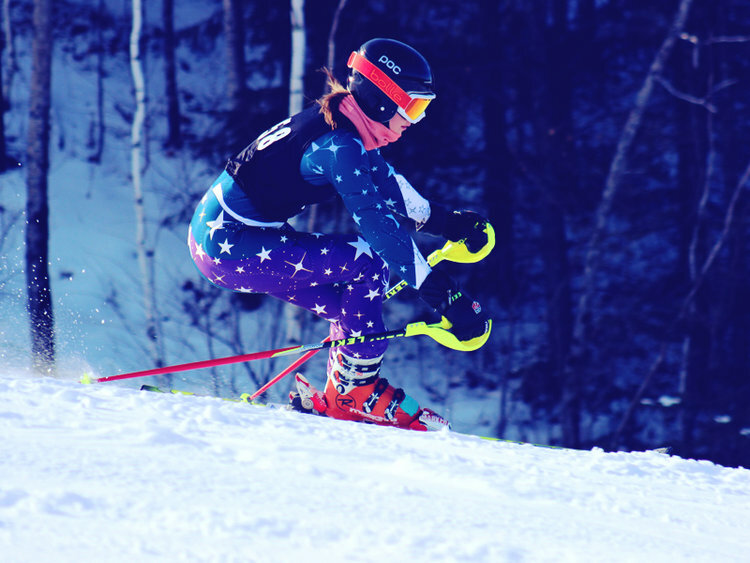 Participants train at a competitive level under the guidance of USSA-trained coaches and compete in USSA racing and the Northland Junior Racing Series (NJRS). All skiers can train and compete at a level at which they feel comfortable. Mont du Lac offers two team package options. The base-level Club Pack includes two weekly practices, and the Pro Pack includes four weekly practices and advanced skills training. All team members train Tuesday nights and Saturday mornings and are automatically enrolled into the Winter Holiday Race Camp. Additionally, all NJRS race registration fees are included in the team fees. Pro Pack team members have two additional practices on Wednesday and Thursday nights where they will focus on higher level drills and techniques. No equipment is necessary to participate on the Alpine Club. Free rentals for the season are included in both packages. All team members are required to have a season pass which is not included. The Mont du Lac Alpine Club is proud to offer the lowest competitive team pricing in the area thanks to support from Mont du Lac Resort and the community.